I attended the January 2016 Midyear Meeting of the Association of American Feed Control Officials (AAFCO) in Charleston, SC January 17-20, 2016. In addition to its usual format of a general membership meeting followed by a series of committee meetings, this year’s meeting included a special Workshop on the Ingredient Definition Process, which provided a great deal of useful information about the process for the review and approval of new feed ingredients and how companies should prepare the needed dossiers. Links to the agenda for the general meeting and the Ingredient Workshop can be found at http://www.aafco.org/Meetings/Midyear/2016. The following is a summary of some of the key points and insights I learned at the meeting, particularly including the Workshop. AAFCO carries out most of its functions through its several committees, which each meet during the Annual Meeting in the summer and the Midyear Meeting in January, as well as other times during the year as needed. AAFCO’s work is carried out by a dedicated group of state (and Canadian provincial) government officials, who participate in AAFCO activities as volunteers. AAFCO’s leadership works closely with officials in FDA’s Center for Veterinary Medicine (CVM), several of whom are also active participants in AAFCO’s activities. Overall, I found that the group exhibits a serious dedication to AAFCO’s goals and a high level of attention to detail, which is evidenced by the way they carefully carry out the review and approval of new ingredients and other committee business. Much of the discussion at the Ingredients Workshop had to do with the data that would be required to support a regulatory assessment of a proposed new feed ingredient. There are three major routes to new ingredient approval, as I’ve explained in previous blog posts: showing an ingredient is Generally Recognized as Safe (GRAS), either through self-certification or review by FDA under its GRAS Notification program, achieving FDA approval as a Feed Additive, or obtaining a new ingredient definition from AAFCO. The review processes and data requirements for these routes are already very similar, and several speakers at the Workshop noted a continuing trend towards further harmonization of the data requirements across all three processes. The three major areas of data required under al these regulatory routes are utility (effectiveness); chemical and manufacturing control information; and safety (animal, human and environmental). Regardless of which regulatory path an applicant chooses, the technical review would be conducted by the same small group at FDA CVM, which currently has a large backlog. Generally, Feed Additive Petitions have the highest priority, followed by GRAS Notifications and only then by AAFCO requests, so this often results in long review times for many AAFCO ingredient requests. Companies were advised to plan that the AAFCO new ingredient approval processes might last up to 24-36 months. It is clear from the attention to detail that was shown by committee members towards the various proposals being considered that any application for a new animal feed ingredient will undergo rigorous review for safety, quality and efficacy, not only by the technical reviewers within FDA CVM, but also by the members of the Ingredient Definition Committee who will ultimately vote on any proposed new definition. The discussions showed a high level of attention to detail: for example, the Ingredient Definition Committee seemed reluctant to approve any new definition unless there was a true consensus about the definition and all its details. Several of the committees opted to table certain pending matters until a future committee meeting, to allow unresolved issues to be worked out, or to allow further discussion among stakeholders. In view of the infrequent schedule of committee meetings, such decisions would result in significant delays in adopting new definitions, but members clearly are driven by the need to get things right, rather than any sense of urgency in reaching decisions. The level of cooperation and collaboration with FDA CVM was not surprising. However, what was somewhat unexpected was the level of industry participation. AAFCO meetings are open to the public, and at the January meeting, industry participants seemed to make up perhaps 30-40% of the overall attendance (if not more), and several industry representatives served as members or advisors to the committees. Industry was represented not only by individual company representatives but also by trade associations, such as the Enzyme Technical Association and trade groups representing meat processors, pet food manufacturers, and others. Several of these individuals and trade groups have had long associations with AAFCO and appeared to play significant roles in certain issues, and to carry a great deal of influence within AAFCO discussions. Committee discussions of specific issues were all open for general comment from those in attendance and anyone participating online via webinar, and industry representatives often spoke for or against proposals relevant to their business interests. 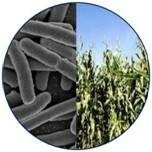 This raises the question of whether the fuel ethanol industry, the industrial biotechnology industry, or individual companies developing potential new microbial feed additives should strive to have greater representation at AAFCO, either working through an established group like ETA, the Industrial Section of BIO or the Distillers Grains Technology Council, or through individual company efforts. The following are a few more specific regulatory issues that were discussed during the meeting. As a result of a settlement to a 2014 lawsuit filed by the Center for Food Safety, FDA is under a court order to issue a final rule implementing its GRAS Notification (GRASN) program by August 31, 2016. The CFS lawsuit was largely directed at the human GRAS program, but from FDA comments at the meeting, it appears that the rule would finalize both the human and animal GRASN processes. FDA apparently also intends to issue a proposed rule that would have CVM recognize all approved AAFCO definitions as either feed additives or GRAS substances. In addition, AAFCO’s Ingredient Definition Committee is considering a proposal under which substances receiving “no questions” letters from CVM under the GRASN process would automatically become listed in AAFCO’s Official Publication. The proposal was not approved at the Committee’s meeting at the Midyear Meeting, but was tabled so that the opinions of state governments could be solicited. FDA has issued a final version of Guidance document GFI #221, “Recommendations for Preparation and Submission of Animal Food Additive Petitions” (dated June 2015), which had previously been available only in draft. It was stated in the Ingredients Workshop that these data requirements would be fairly consistent across the three possible avenues of review for new ingredients. Although in general, AAFCO and CVM need to review a great deal of data regarding the manufacturing process to assess the quality and purity of the product, for biological products the level of detail seems to be similar to what would be required in a Microbial Commercial Activity Notice (MCAN) that might be submitted to EPA if the product or its production microorganism were a genetically modified microorganism subject to EPA biotechnology regulations. AAFCO and CVM will wish to see data addressing safety in target animal species, carried out in the target animal at the appropriate life stage, in accordance with Good Laboratory practice to the extent possible. Human safety should also be assessed, for products to be fed to food-producing animals. It is possible to address safety concerns via a “white paper” literature survey, although it is likely that this would be applicable only in certain situations and for certain product types. Decisions made by FDA require consideration of environmental impacts, under FDA’s obligations under the National Environmental Policy Act. It is not clear to what extent this applies to AAFCO actions and decisions, since AAFCO is not a federal agency, but this topic was discussed during the Ingredient Workshop. As with any regulatory process, companies are advised to consult at an early opportunity with the applicable AAFCO Investigator (the AAFCO volunteer assigned as the contact person for the relevant ingredient type; listed at http://www.aafco.org/Regulatory), to ensure that the proposed ingredient is given a proper definition and to be sure the appropriate data package is assembled. Please contact me if you would like more information about any of the topics discussed at the January AAFCO meeting.